Hosted by MizB, Teaser Tuesdays asks you to choose two sentences at random from your current read. Identify the author and title for readers. Publisher's description: An enthralling mystery, a piercing depiction of class and society, The Sweetness at the Bottom of the Pie is a masterfully told tale of deceptions—and a rich literary delight. Comments: After trying many times to get a copy of this book, I finally found it on the shelves at the library and am on page 29! Enjoying it though it took me about 10 pages to get interested. Luckily, the reputation of the novel egged me on, and am not disappointed. I like the verve and the playfulness of 11 year old Flavia, whose curiousity leads her on to investigate the death of a man found in her kitchen garden. 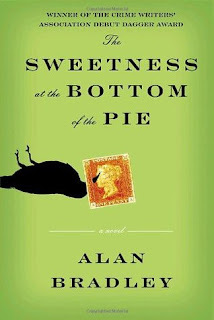 Author Alan Bradley has written a follow up to this first mystery novel and I hope to get to that one as well! Susan at Stony River Farm hosts Microfiction Monday, where writers contribute 140 characters or fewer to a photo prompt weekly. If you join in, you can use Design 215 to count characters as you write. Welcome to the Sunday Salon! Click on the logo to join in! 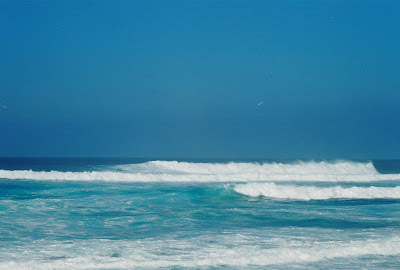 The summer is winding down and it has been a hectic one ever since it started. This is my first Sunday Salon in a month! 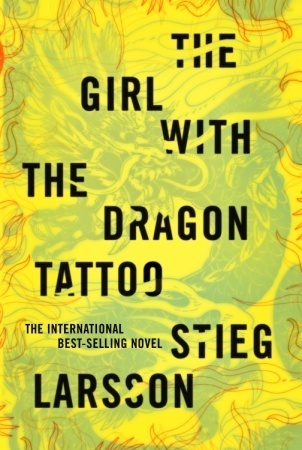 I started the Steig Larsson trilogy, reviewed The Girl with the Dragon Tattoo, re-read The Girl Who Played with Fire (Vintage) and finished The Girl Who Kicked the Hornet's Nest. (The second book in the trilogy and an ARC of the third were sent to me by the publisher some time ago. I went out and bought the first book to have all three). All the books are top notch thrillers. The main character in the books, Lisbeth Salander, is someone we root for - she refuses to be a recurring victim of anyone or any system. Once she becomes an adult and can stand up for herself, once is enough, and then she fights back - spectacularly. I only wish Larsson were alive to enjoy the success of his books. Also reviewed Extinction - the Ultimate Holocaust, a sci-fi novel by Dan Ailey, and wrote a couple of short verses for Magpie Tales, hosted by Willow. On Monday, I'll post two sentences for a 140-character response to a photo prompt, a meme called Microfiction Monday, hosted by Stony River. It's been fun writing poetry or something short using photo prompts provided by the hosts. Finished an enjoyable, light mystery set in Charlotte, North Carolina, A Corpse for Yew (A Peggy Lee Garden Mystery) written by Joyce and Jim Lavene. I plan to get others in the series when I return the book to the library. The book will be a fun read as long as you are not too fussy about incidentals such as setting and a crime scene not described very well. The interesting characters and the garden/plant information more than make up for that however. That's all I did the past week or two. What books have you finished? "Yeah, I read about one guy who mounted a laser range finder on a spinning mirror, for all around detection capability. Maybe we could add something like to our robots." "Disappointed by the inability of the world's governments and conservation organizations to protect wildlife and prevent global warming or resource depletion, this brilliant yet despicable group concludes that human beings are inherently incapable of controlling population growth. They foresee the continued exploitation of the world's natural resources and the existential threat to the survival to all but the most elementary forms of life on earth. The group concludes that the only way to eliminate these threats to the environment is to eliminate the human species altogether. My comments: Very intriguing concept for a sci-fi novel - reduce or wipe out to near extinction the human race in order to preserve the earth and return it to its former wild state. Create robots to do all the work normally done by humans and make humans expendable. Of course, this kind of solution to the environmental crisis creates its own problems. Control the humans, but who then can or will control the robots who are programmed to run the show? A novel of intrigue and suspense by retired university professor of biology, Dan Ailey. I would have preferred if Ailey had not outlined the plot in the Prologue of his novel. It spoils the surprise. I would suggest readers skip the prologue to get the full effect of the novel. 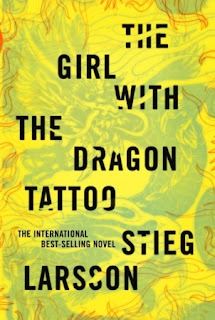 The Girl with the Dragon Tattoo was published June 23, 2009. entertaining and suspenseful, set in Sweden, the novel is about a petite 90 lb. woman, Lisbeth Salander, who is hired as a researcher by a private investigator to help solve the disappearance of a teenager 40 years earlier. Lisbeth, age 25, is a computer hacker who happens to be a ward of the state, declared 'legally incompetent" and psychotic because of her hostile and defiant behavior. Few people know just how smart she is and readers will love how well she can protect herself from being a recurrent victim of the system. A definite 5 rating for the first in the trilogy. I'm reading the Larsson trilogy in order so am now re-reading the second book with Lisbeth Salander, The Girl Who Played with Fire (Vintage). I got a very nice note from writer Grace Coopersmith re her novel, Nancy's Theory of Style , published May 18, 2010 by Gallery. People can download the draft to a variety of e-readers (including Nook, iPad, Kindle...) or download it on their computers. What's really important to Grace is that people read the story and share it with one another. She hopes readers will fall in love with "finicky Nancy Carrington-Chambers, her fabulous assistant Derek Cathcart, and her odd little niece Eugenia." Grace adds: "The draft has its own fun cover design (if loving pink is wrong, I don't want to be right) and my own name because many of my readers didn't find out about my more chic, non-vampirey alter ego. Thanks for any help spreading the word about this "fiercely fun" story." 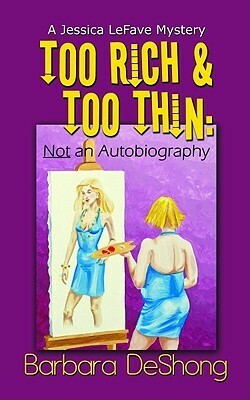 Click on review of Grace's book to see my comments. "Slugger," I said, and then paused, building the suspense for my audience as well as for my dog, "pills!" He surveyed the items quickly, then fit his jaws around the bottle and placed it in my hand. (ch. 14. Quote taken from a galley copy; the final print copy may differ). In this candid memoir, Leigh Brill talks about living with cystic fibrosis and the physical limitations that require a service dog to help with small but vital chores, to assist her walking or in a wheelchair, and to provide the confidence as well as physical support she needs to live a full and satisfying life in spite of her disease. 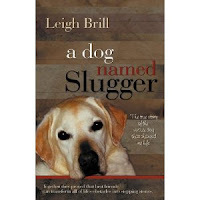 A yellow labrador retriever named Slugger came into her life and changed it in many ways. Comments: A deeply moving and informative book that tells about Leigh's life with Slugger, how he changed what she could do and achieve. We learn about service dogs, why they are needed, how they are trained, and how they help people with disabilities by being valuable helpers first of all, and incidentally by also being pets at home. Leigh also tells us about meeting her husband Pranav and his involvement in her world of service dogs. There are several pages of pictures as well as a reader's guide at the end of the book. Dog lovers, those who want to learn more about help for the disabled, and anyone who likes a rewarding memoir will enjoy the book. 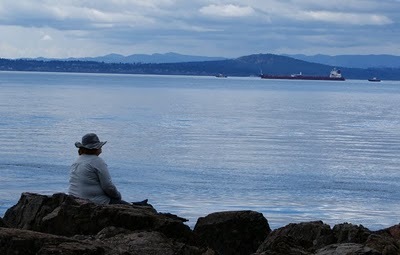 Without a Word: A Rachel Alexander Mystery (Rachel Alexander & Dash Mysteries) by dog trainer and writer Carol Lea Benjamin. I gave this a 5 on Goodreads. Rachel is the P.I. and her pitbull Dashiell is her sidekick. Dash is also a trained therapy dog! There is a border collie on the cover of the book 'cause it went missing along with the wife of its owner. Rachel finds them of course, and helps a young girl traumatized by the absence and disappearance of the woman, her mother. Great novel, with a very sensitive and astute P.I. Killer Weekend by Ridley Pearson is the second book I've read in his Sheriff Walt Fleming mystery series, set in the resort town of Sun Valley, Idaho. 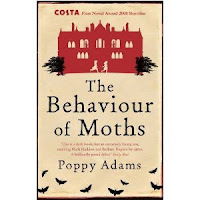 A very entertaining read, even though it's another suspense novel that delivers on good plot and writing but doesn't stay in your memory after you have finished it and gone on to other books. It's a 4! I think his more recent Killer Summer is a better mystery; I gave that a 5. I remember the hunt and chase scenes through the remote Sun Valley mountains . Pearson's most recent novel came out on Aug. 3., In Harm's Way (Walt Fleming Novel) . Of course, I plan on reading it! What books have you read but not yet reviewed? 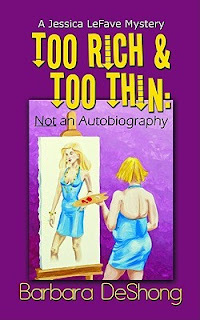 Too Rich and Too Thin, Not an an Autobiography by Barbara DeShong, published Sept. 9, 2009 by Echelon Press. Plot: Jessica leFave believes her psychology husband was killed to hide secrets revealed by a patient in therapy. Because the police don't believe her theory, she sets out on her own to find out the truth. 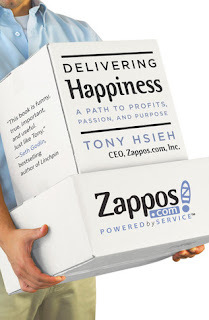 Delivering Happiness: A Path to Profits, Passion, and Purpose by Tony Hsieh has one clear message for business owners and managers - make and keep your employees happy, and your company will have it made. 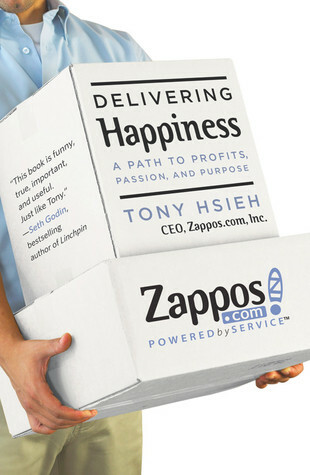 Of course there are other things you also have to do, but delivering happiness and keeping it as part of the corporate culture in your company is the key to success, according to Hsieh, who divides his self-help book into three parts: Profits; Profits and Passion; and Profits, Passion, and Purpose. He is CEO of the highly successful online retailer Zappos and therefore we take for granted that he knows of what he speaks. The book follows Hsieh through the corporate world, where he talks about his beginnings in business, his strategies, successes, and outlines his methods for running a business that ranked as one of the "Best Businesses to Work For" in 2009 by Forbes magazine. Business owners and management as well as business students might find this book appealing and an eye-opener. However, with so many new books now discussing happiness in the work place, tthe WOW factor, and so on, the idea is not entirely unique, though Hsieh's specific strategies may be. Just entered The Elegance of the Hedgehog by Muriel Barbery into Book Seer to see what Amazon would recommend as my next read. Up came two enticing books, both about two sisters, one in Brazil, and the other a gothic mystery. 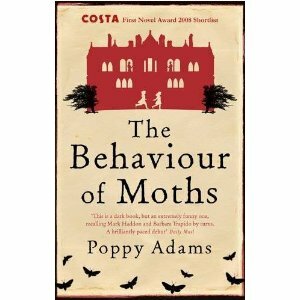 Behavior of Moths by Poppy Adams (2008) is about a weekend reunion of two "batty" sisters in an old and huge crumbling house. There is a moth/butterfly theme of something fragile and kept under glass, so to speak. An atmospheric, psychological novel described as a gothic mystery that is "dark but funny." Then the next recommendation was The Seamstress: A Novel by Frances De Pontes Peebles (2009), a story set in Brazil in the 1920s and 1930s, about two seamstress sisters whose lives take different and divergent paths. It's described as "lavishly detailed" with excellent characterization, though a bit overlong. I loved The Elegance of the Hedgehog, so if these two books are anything like it, in writing and content, then I should enjoy reading them. Two more for my TBR list!